Ask any Internet user around the world what is the most annoying thing about the Web. I am willing to bet good money that the almost guranteed universal answer is not fast enough internet speed. Well don't ask either the Chinese, Russian or CIA guys. So ironically enough, a Chinese company Huawei has decided to help us out. At the recent Mobile World Congress of 2018 on Barcelona, Spain, the company has launched the World First 5G powered chip for mobile devices. 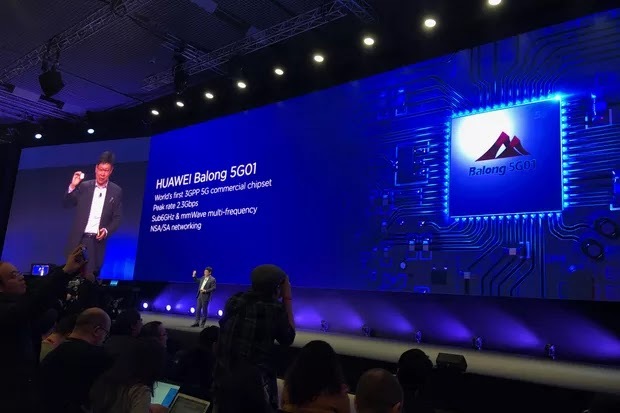 ﻿According to the company, they claim that their new Huawei Balong 5G01 chip is the first to support the new 3GPP standard for 5G networks, and that it should be able to download data at 2.3Gbps. Going by the size of the chip, it’s likely that this will show up in mobile hotspots and not phones. A lot of industry experts say that this is a good thing, as it would increase competition in the industry. Its competitors Intel and Snapdragon recently just launched their own 5G modems, the X50 and X24 respectively, while Lenovo plans to have 5G laptops by 2019. So good news for all of us. Better Internet speeds await us.